I made the dough and let it chill for a couple hours while I answered some emails. On my "lunch break," I rolled out the dough and baked a couple dozen of these beauties. 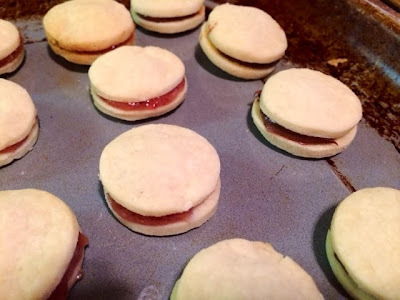 When they cooled, I spread one cookie with either Nutella or a tasty combo of almond pastry filling mixed with raspberry preserves, and topped with another cookie of similar size. Crumbly and buttery, and filled with gooey chocolate or a fruity filling, these bite-sized cookie sandwiches are the perfect treat to share with your favorite person. (Don't forget the bottle of bubbly!) Sweet! In a large bowl, cream together the butter, vanilla and sugar. 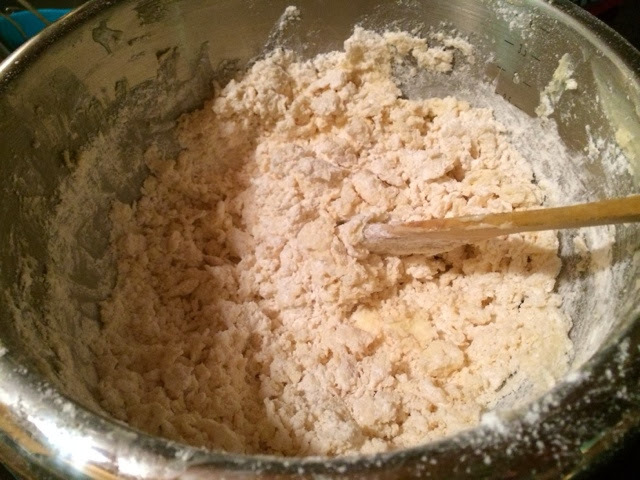 In a smaller bowl, sift together the flour, soda and salt, then add to the butter/sugar mixture. Stir into a loose dough. Divide the dough in half, then wrap each half in plastic wrap and chill for about two hours. When dough is chilled but still malleable, remove one of the halves from the fridge. Flour a surface and your rolling pin, then roll out the dough until it is about a quarter of an inch thick. 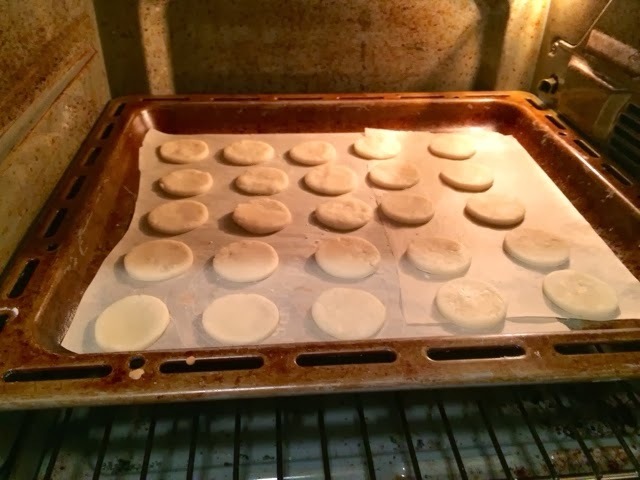 Cut dough into circles 1-2 inches in diameter (if using pastry rings, use the second or third smallest size). 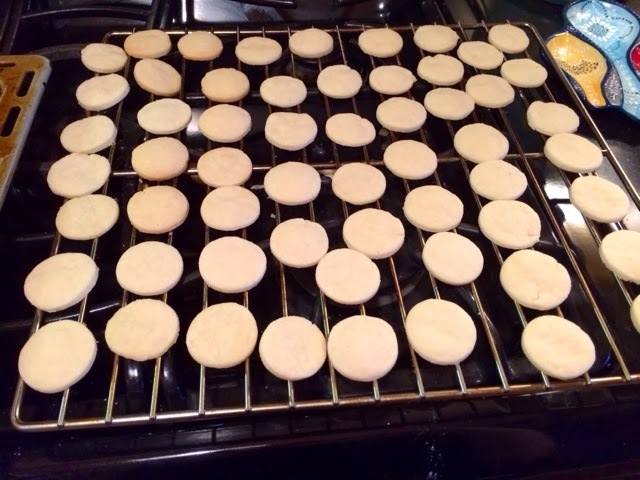 When the cookies are done baking, remove them from the oven and let them rest for about 5 minutes until set, then move them to a wire rack to finish cooling completely. When all of the cookies are completely cooled, match them into pairs, according to size and shape. 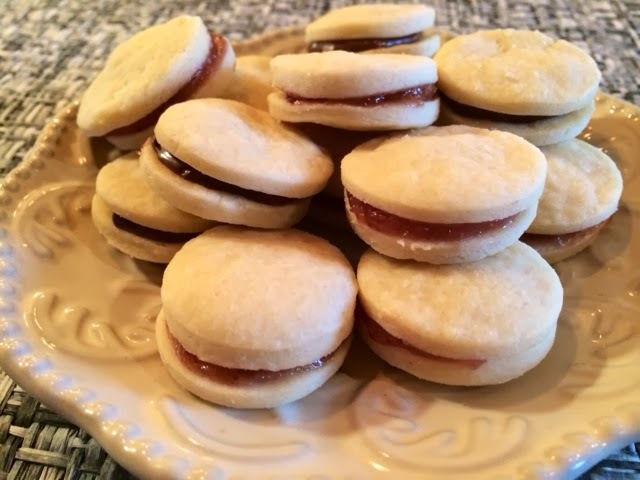 Spread your favorite filling on one cookie then top it with its mate. Repeat until all of the cookies are matched. So easy, so pretty and so yum. 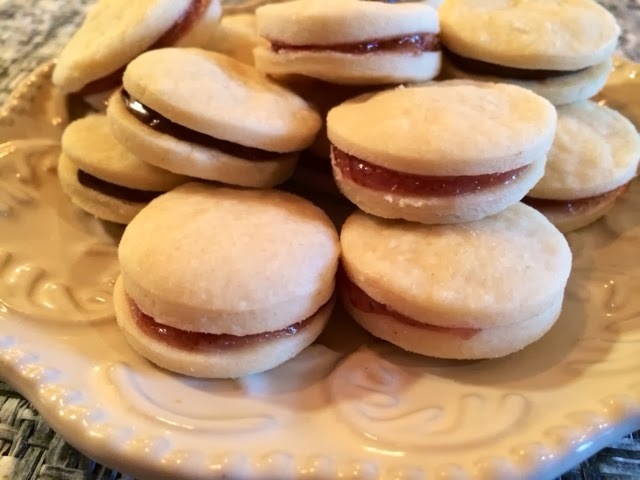 Make some for your sweetie, too!